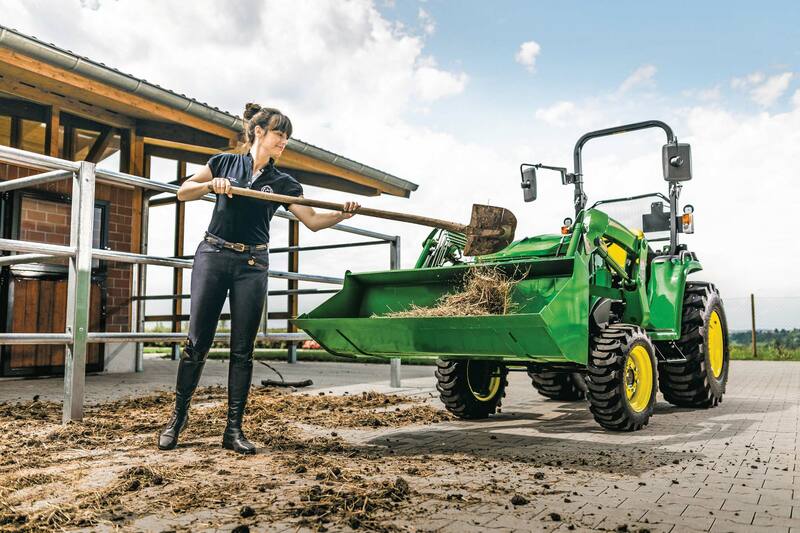 Discover the amazing features of the John Deere 3033R (previously known as JD 3320). 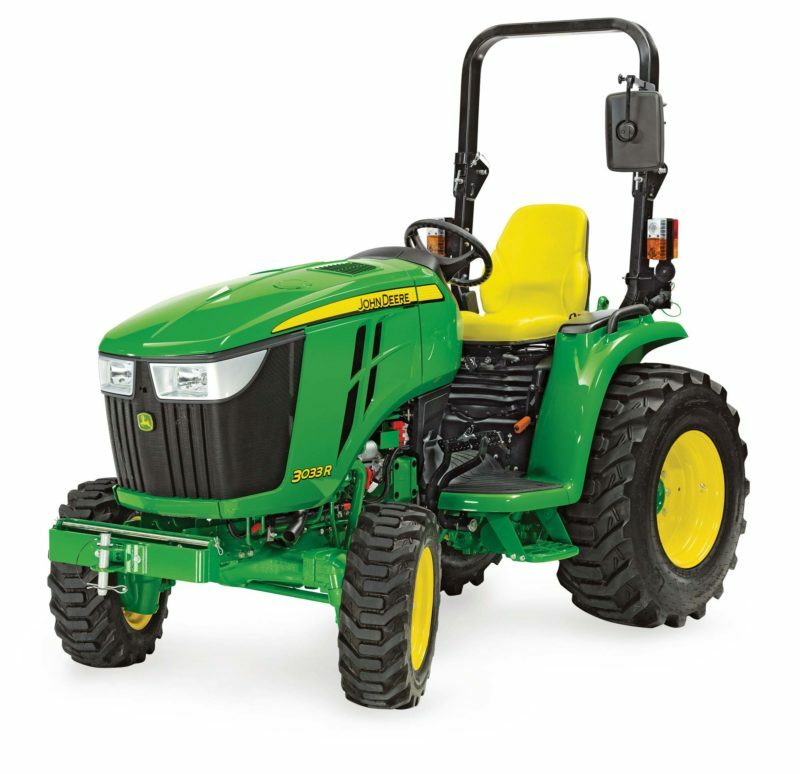 See specifications of this powerful and easy to use Compact Utility Tractor. 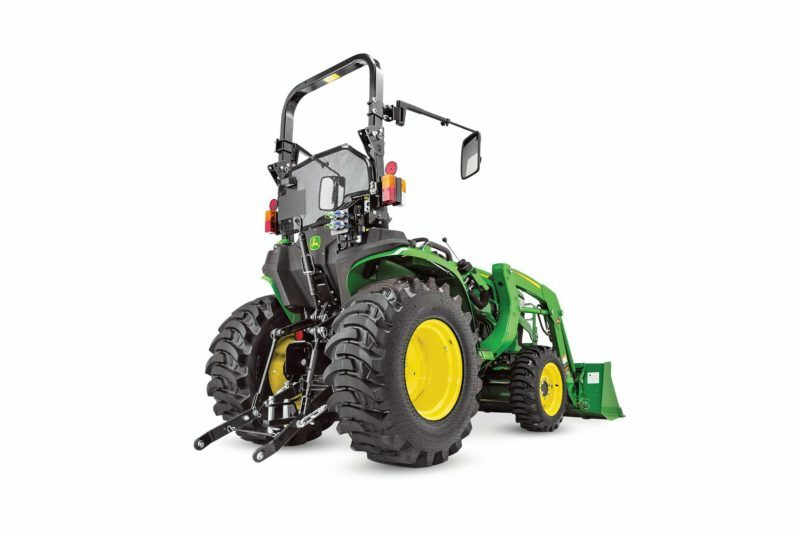 Never before have tractors this size offered so much power that is this easy to use. A digital performance tracking system, standard 4WD and an amazing LoadMatch electric power management system maximises performance in every application. Comforts like automotive style controls, smooth transmissions, standard high back seats and tilt steering improve your productivity. 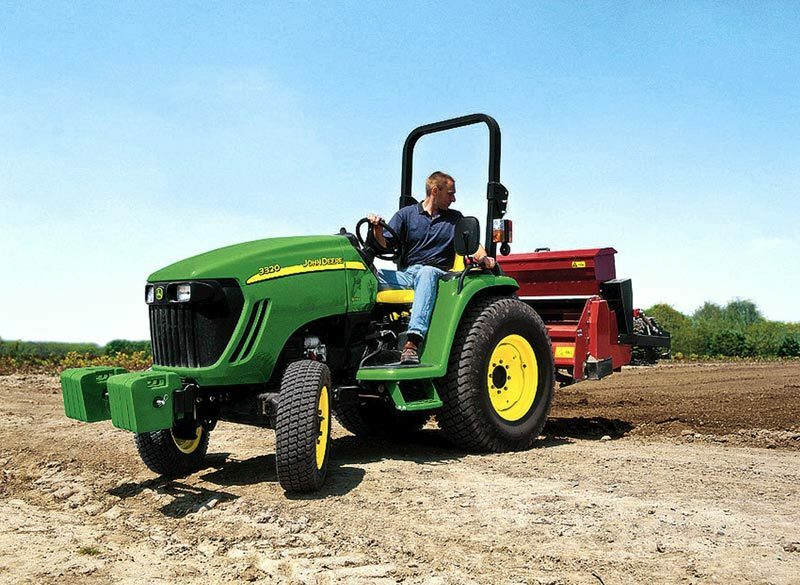 It’s no wonder the 3000 Series outclasses every other tractor in its class. It could be a long, hot, dusty day or it could be cold, wet and freezing. Either way, you don’t care, because you’re sitting in a John Deere ComfortGard cab. Six adjustable vents are strategically placed to keep you at the optimum temperature, winter, spring, summer or autumn. And this “room” is so tightly sealed; even most dust particles or allergens can’t make their way inside. So come in, close the door and enjoy your work. 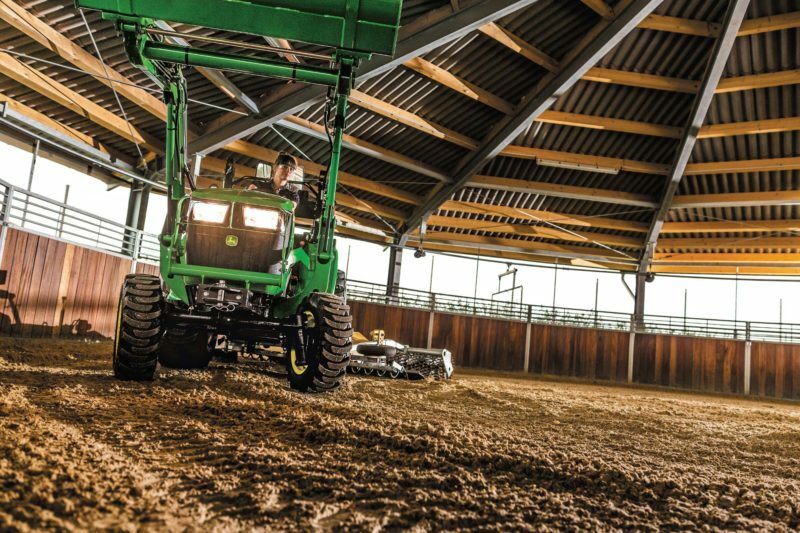 Standard 4WD lets you dig in when doing loader work or rotary cutting over challenging ground. The heavy duty front and rear axles give you the confidence to handle the toughest jobs. Engage and disengage PTO independent of other transmission operations and at any ground speed. 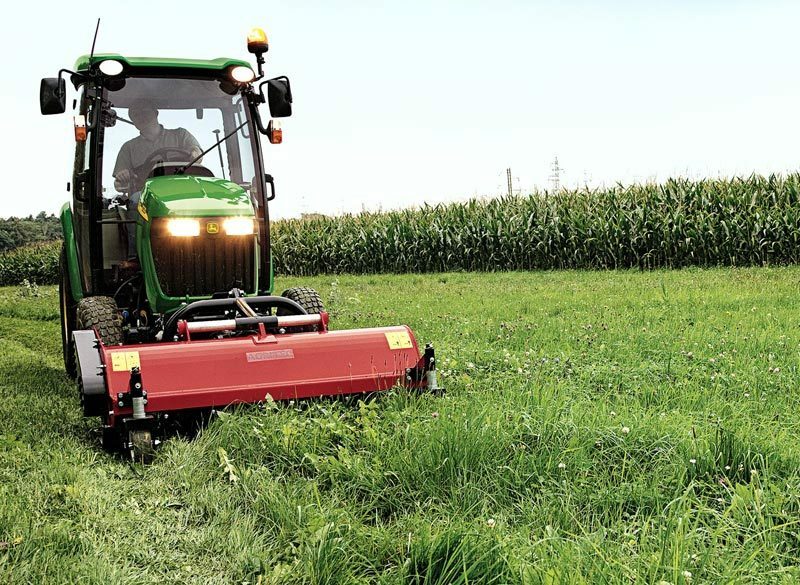 LoadMatch comes into its own when moving a heavy load or mowing thick grass. It automatically adjusts the transmission speed to engine load so you always have maximum performance without ever stalling the engine. It’s easy to operate and your productivity will reach a totally new level. MotionMatch: Adjusts transmission response to the task at hand. Automotive-Style CruiseControl: provides an infinitely variable speed selection. SpeedMatch: allows you to set a maximum speed when the pedal is fully depressed. 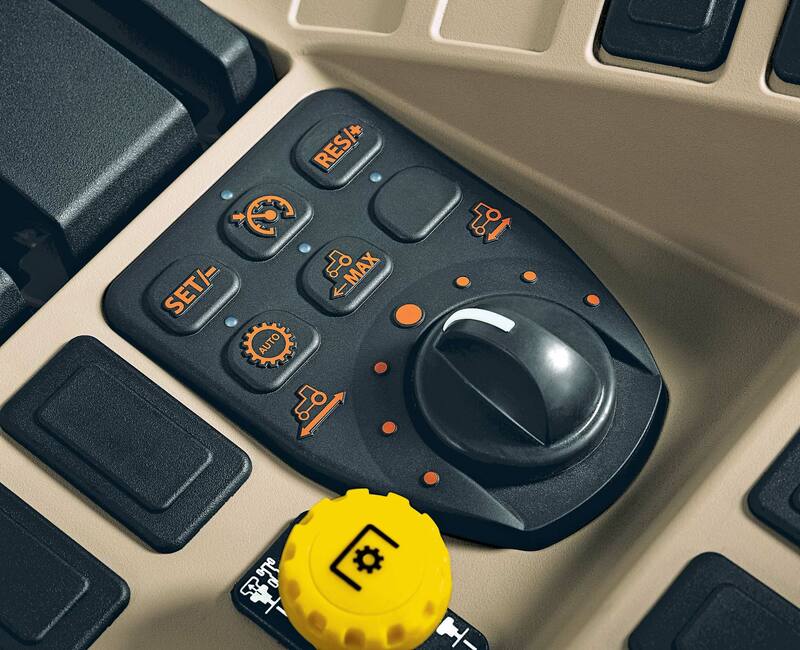 Easy to activate toggle switches located on the right hand control console – precisely where you need them. 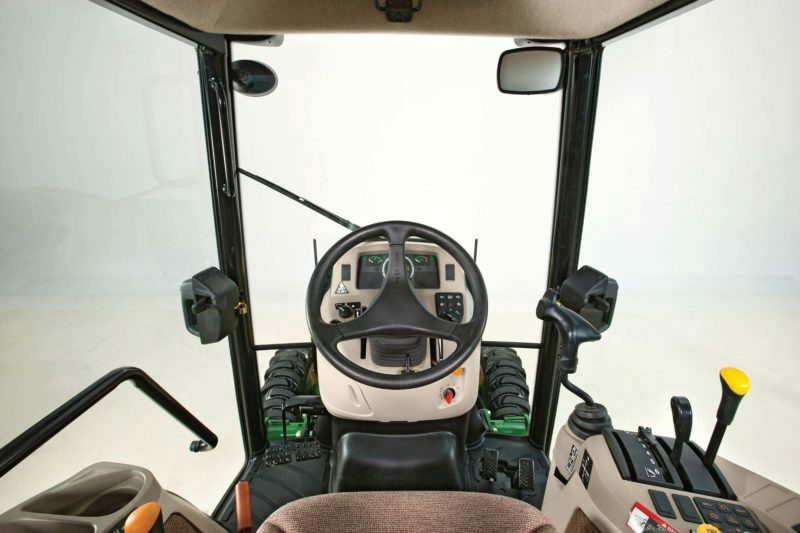 Operated by Twin Touch pedals, the exclusive 3-range electronic hydrostatic transmission allows you to perfectly match the tractor’s speed to the job. Work lights are integrated into the top of the cab for extra protection from trees and branches. A combination of a four post Roll Over Protection Structure (ROPS), high seat placement and curved doors gives you a commanding view in all directions. The header bar has been raised for excellent visibility, so you can clearly see the loader all the way to the top of the lift cycle. 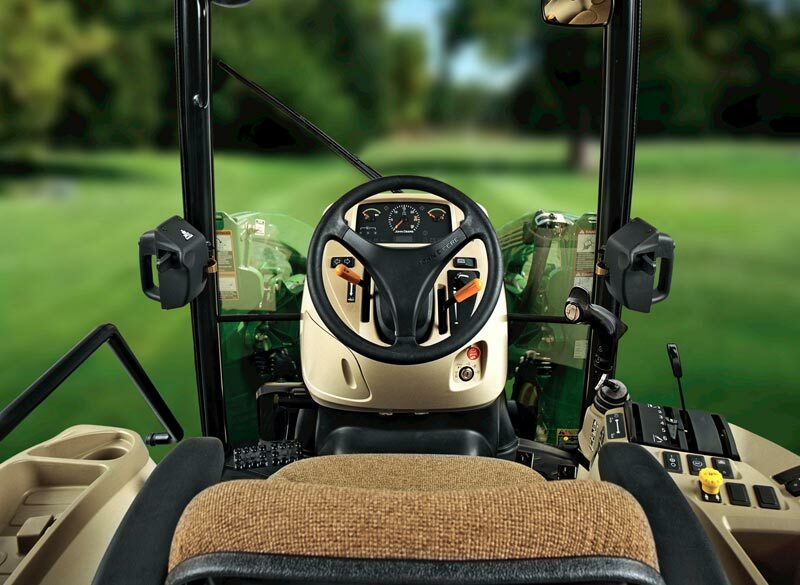 Tilt adjustable steering lets operators of all shapes and sizes find their perfect position. Now you can precisely monitor your speed for specific tasks like spraying. Stays close at hand and clear of your knee. 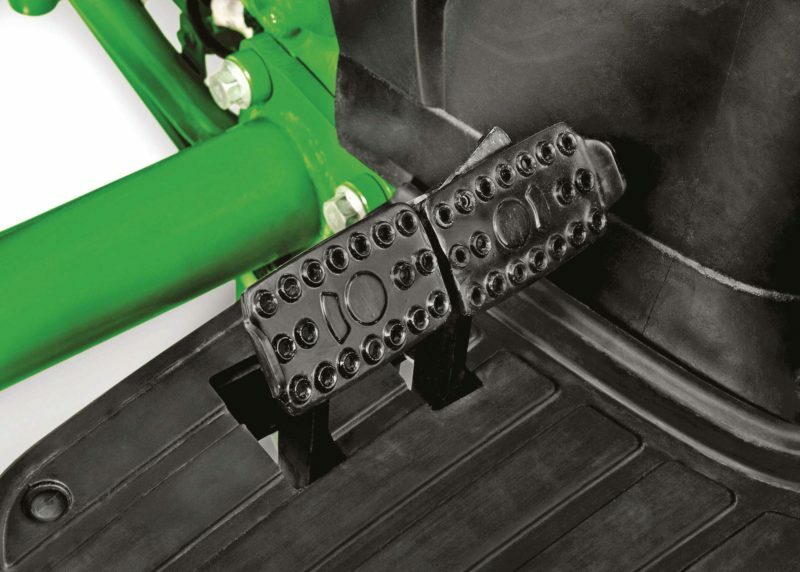 Three hydraulic control valves are standard for faster cycle times. The right hand control puts all the most frequently used controls at your fingertips. 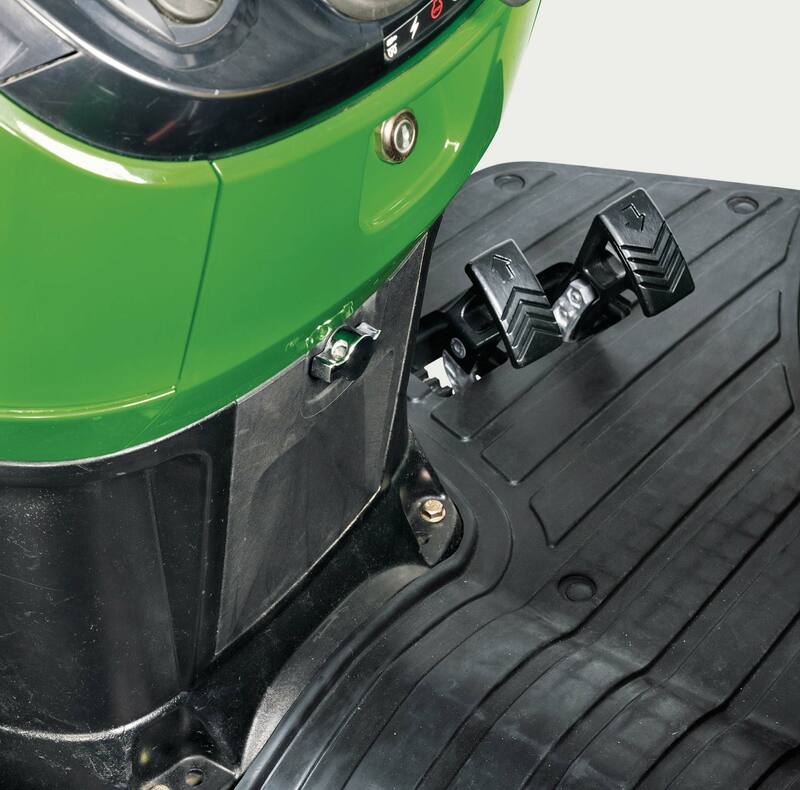 Colour-coded icons help you easily monitor the tractor’s performance systems at a glance. 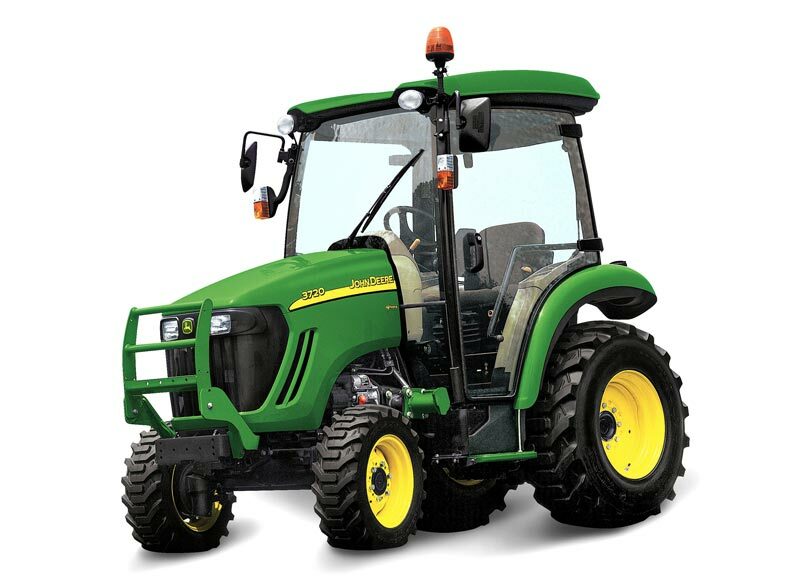 Performance Tracking System: Our unique digital Performance Tracking System instantly tells you the status of the vital systems on your tractor. 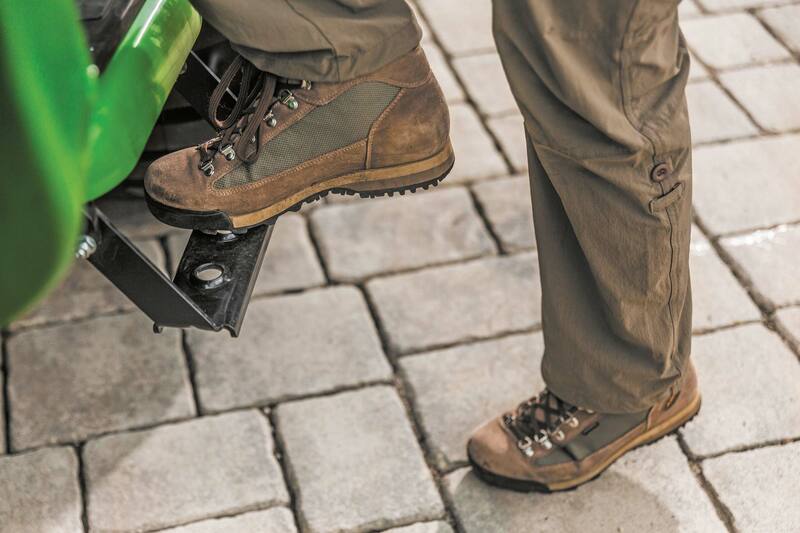 An optional air ride seat provides superior cushioning and a consistently smooth ride – no matter how rough the terrain. Enjoy a quiet working space with 81 dB(A) for the mid and 79 dB(A) for the large chassis models (according to 77/311/ECC). Extra large condensers and blowers mean fast, efficient cooling while a 15,000 BTU heater keeps you comfortable in the worst winter conditions. Air-conditioning is standard for all models (except the 1026R and 2000 Series).